Chelsea v Manchester United: A game that has already failed to live up to expectations. It’s the tie of the round, a game we have all been looking forward to since the draw was made but has already failed to live up to expectations because of injuries, suspensions and comments made by Jose Mourinho. Ever since I have been supporting Chelsea and took my place in the old Shed End back in the early eighties, we have always had one eye open to look out for the fixtures against Manchester United. This became even more important during the record-breaking tenure of Sir Alex Ferguson as we looked to put on over our rivals and for the most part we did. So to the draw in the FA Cup that paired the two of us together again in the tie of the round. The anticipation has been building over the last couple of weeks as we have seen United continue their impressive unbeaten run that has maintained their position in the Premier League (sixth). That unbeaten run started in the fixture that followed their 4-0 defeat to Chelsea at Stamford Bridge earlier in the season, Jose Mourinho’s first game back at the club since his sacking last season. On that day United were battered by Chelsea, couldn’t cope with our shape and our tactical system because at the time Mourinho was still looking to find his best formation. Ever since that day and their subsequent unbeaten run, I have been looking at our return fixture at Old Trafford wondering what will happen and if Chelsea under Antonio Conte would be able to put an end to their run and a massive dent in their hopes of a top four finish. Thanks to the FA, we have that chance earlier than expected with tonight’s televised encounter and another chance to take on Mourinho on the ground he used to call home. Antonio Conte’s title challengers up against Manchester United’s unbeaten side, it had all the makings of being a classic. Now it’s more than apparent that on this occasion, with injuries, suspensions and a Europa League clash with Rostov on Thursday night, this could turn into a one-sided affair that fails to live up to any expectations we had pre-match. Jose Mourinho has continued to dig at Chelsea’s lack of European football this season in the build up even though he played a huge part in that failure last term. He continues to talk of the fact that Chelsea have had it easy in the title race as they have been afforded the luxury of time to rest, time to work on tactics and for the players to go on holidays during the season. I beg to differ because as we all know in the Premier League these days, you MUST earn your victory and it’s harder than ever to do so. The simple truth is that in games this season Chelsea have earned their three points whereas United haven’t and that’s demonstrated by how many games they have drawn and their league position. Mourinho has also given an indication of just how important the game is now recently. The game that was selected for prime-time televisual coverage to the nation and the world has become de-valued by stating that the Europa League is more important than the FA Cup because if you win the competition you enter the Champions League next season. Make no mistake, Mourinho will send out a side to do a number on Chelsea, to stop them playing and to stifle any attacking threat we have. There is already talk or Marouane Fellaini being deployed as a central striker because of the absence of Zlatan Ibrahimovic, Wayne Rooney, Marcus Rashford and Antony Martial. Expect the remainder of the United side to dig in, drop deep and look for long balls up to the big Belgian for others to feed off him. As for Chelsea? We are at full strength and Antonio Conte will demand that his players continue to work hard, to give 100% and to play our best to give no mercy to Jose Mourinho and Manchester United. The only possible change for us compared to the side that beat West Ham on Monday night would be Willian coming in for Pedro but based on his form this season I believe that Conte will name an unchanged side. If Chelsea win the game and put an end to United’s unbeaten run, there is already an excuse for Mourinho post-match. To him it will mean very little and he will be keen to talk of players missing, the fact that the unbeaten run is within the Premier League and the importance of the Europa League. 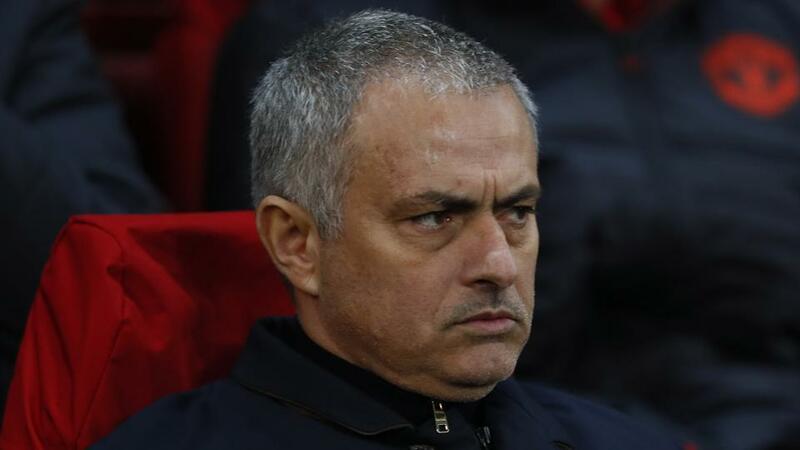 It’s been a season of excuses for the Special One and I wonder what he will say at the end of the season if, after spending the amount of money he has this season, they fail to achieve Champions League qualification. For Chelsea defeat would be a blow make no mistake but for Antonio Conte, the Chelsea players and the Chelsea fans a victory would be massive and another step in our incredible journey this season. Chelsea head into this one as clear favourites tonight and I expect Chelsea to deliver.